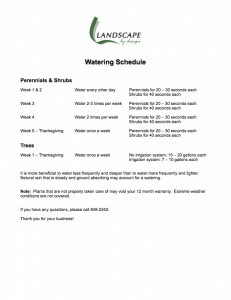 Click to download our watering schedule (PDF) and learn how to properly take care of our new landscaping. Note: Plants that are not properly taken care of may void your 12 month warranty. Extreme weather conditions are not covered.